The SAT is a ruthlessly long set of decisions to be made. You’ll be stuck making tough decisions again and again and again, often unsure of whether you’ve made the right choice. Everyone knows the feeling that comes after a trial like that; you come out of it feeling drained, even a little hazy and weak, even though all you’ve been doing physically is sitting there. Despite the fact that it doesn’t seem like you should be burning a whole lot of calories, the SAT can exhaust you. So what’s going on? 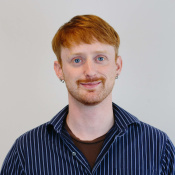 Over the last ten years or so, there have been a number of really fascinating studies that point to a deceptively simple truth: when we make decisions, we actually burn up some real, physical store of fuel, and as it’s burned away we become a lot worse at making good decisions. All of the studies done on this seem to have some root in the work of social psychologist Roy Baumeister, but far from being the crazy idea of just one guy, it’s been replicated and explored by lots of others. In the summer of 2011, The New York Times Magazine ran an in-depth story on decision fatigue that details a number of the studies. It’s a good read, too, so check it out. 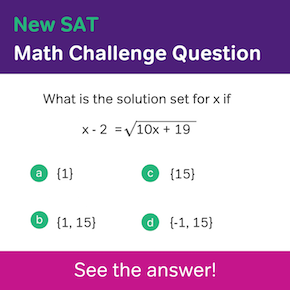 It’s not hard to see how this problem affects your SAT scores. As you get more and more drained by the test, you lose the willpower to see a problem out to its solution, and you have more trouble guessing strategically. 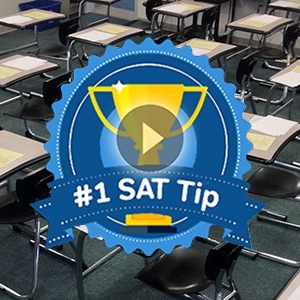 Remember they don’t calculate SAT scores based on how long you vacillated between two choices. 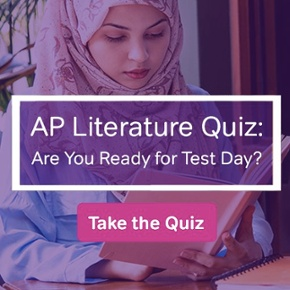 Don’t do any planning, shopping, or work before the test. Wake your mind up with something engaging but mostly passive, like a magazine article. Plan your morning ahead of time, so you don’t have the deliberate over anything at all. Know what you’ll have for breakfast, set your clothes out the night before, etc. Basically, make life easy for your decision maker until you start your test. Considering how complicated our brains are, it’s kind of hard to believe that the answer could be something as simple as sugar, but that’s where the research has led. The brain runs pretty much entirely off of glucose, and when it starts running out, your SAT scores suffer. The comparison between an SAT and a marathon is actually incredibly apt; marathon runners eat sugary goop out of tubes to keep their muscles fueled, and you’ll need the same stuff to keep your brain sharp. I’m not advocating junk food every time you want to sharpen up, but on something as important and decision-intensive as the SAT, it’s a good idea to come prepared. Bring candy bars, soda, or anything similar in sugar content to give you a glucose jump-start during those 5 minute breaks. (But not chocolate! Anything with fat like that keeps you from getting the glucose boost, even if there is a lot of sugar.) 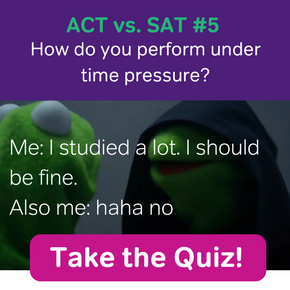 Even if you’re great about avoiding that stuff most of the time, it’s worth it to break your good habits on just the one Saturday morning for the sake of your SAT so that late in the ballgame when you’re forced to choose between who and whom on a SAT grammar question, your brain’s still at the optimal functioning level. Just don’t over do it–too much sugar actually has the opposite effect. So leave the liter Mountain Dew bottle at home and bring a smaller serving. Tricks like this are no replacement for long-term studying and practice tests, of course, but they might have more to do with your scores than we’d like to believe, so we might as well make the most of it.